The Abbey of Clairvaux of Fiastra is inserted inside a large nature reserve where there are groomed trails on foot, by bike or on horseback. And ‘one of the best preserved Cistercian abbeys in Italy and is of great architectural interest underground. Here the Benedictine monks rebels still live according to the basic rule of their order “Ora et Work” in full love and harmony. 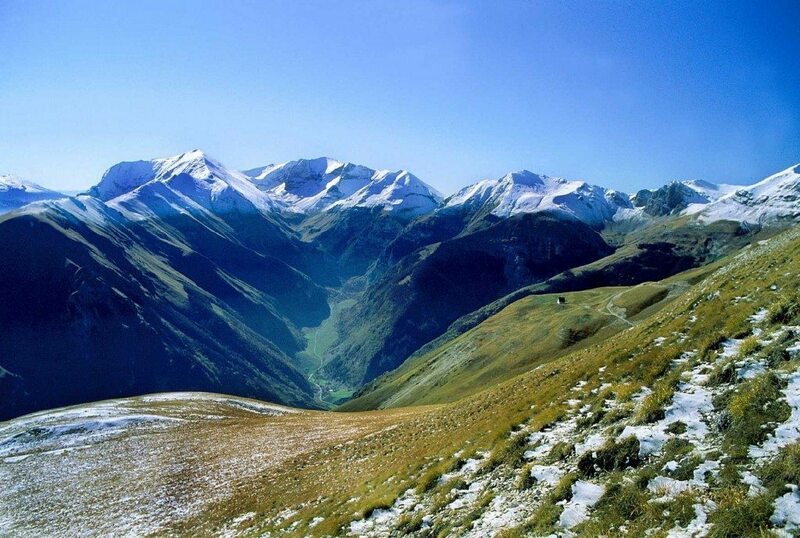 Included in the circuit of “the most beautiful villages in Italy” designed by Italian Touring Club, San Gines, named after the patron saint of actors and artists. 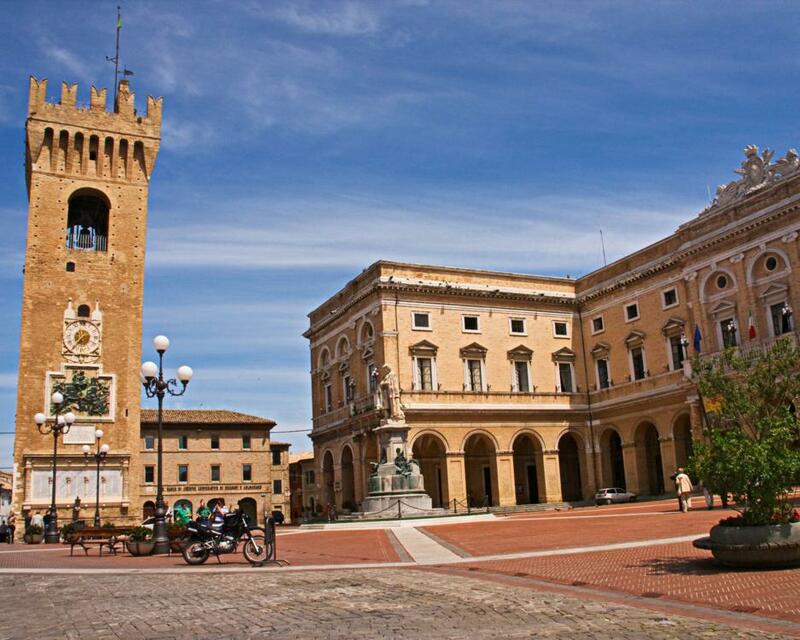 The historic center is characterized by the main square, where stand the Collegiate Parish Church and the city theater G. Leopardi. Recommended the walk to the door Ascara and Gardens for its breathtaking views of the landscape deservedly named “the balcony on Sibilini”. Another viewpoint not to be missed is located on Avenue of Cogna, above the city walls. The main attractions are the churches of San Gines the religious buildings of Crusader period; the village is also called “the city of 100 churches”, rich also of Templar symbolism. Recanati is a middle age town with a unique charme famous for being the birthplace of Giacomo Leopardi, one of the most brillant italian poet. Walking through the village, you breath a romantic athmosphere through the places that inspired his work: the house where he lived, the square, the tower and the hill of his poetries. 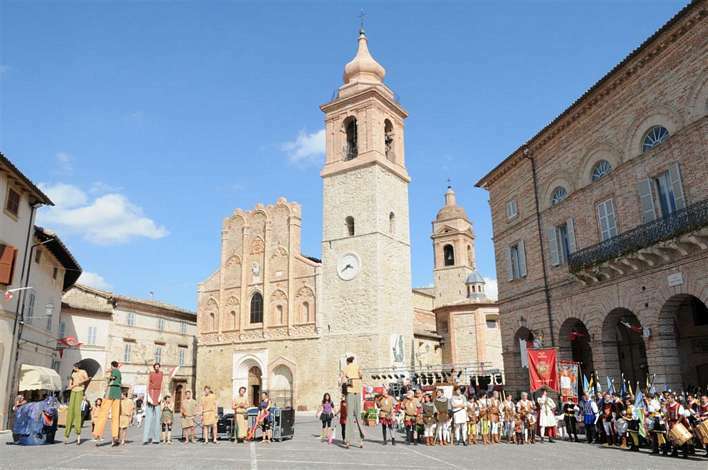 However Recanati has much more to offer: beautifull landscapes on hills, mountains and valley around; churches, historical buildings, museums and archeological sites as Fontenoce and Cava Kock. Beniamino Gigli the famous tenor was born here and there is a museum dedicated. 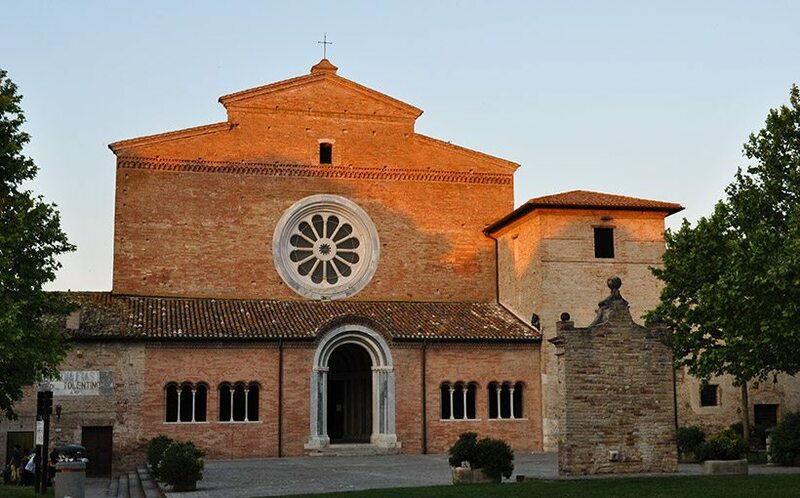 Recanati is only 8 km far from Loreto with his important Sanctuary dedicated to the Holy Mother. 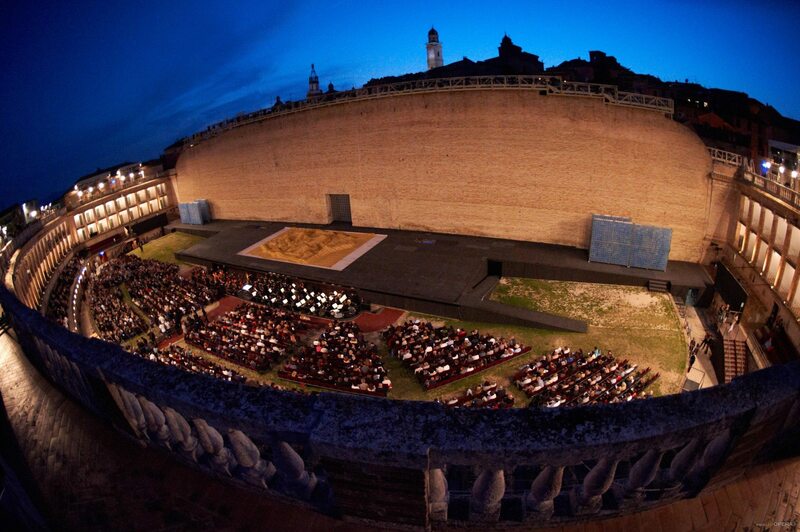 The Sferisterio is a unique theatrical structure of its kind. A semicircular, is outdoors and has acoustics of high quality.And ‘famous for summer opera called “Macerata Opera Festival” in which world-class performance..
From Casa Azzurra in 30 minutes by car to the Adriatic Coast. Civitanova Marche, Porto Sant’Elpidio. Porto San Giorgio or Porto Recanati are places whose urban centers are modern and animated both day and night. The beaches are long, equipped with every comfort and allow you to make beautiful walks. 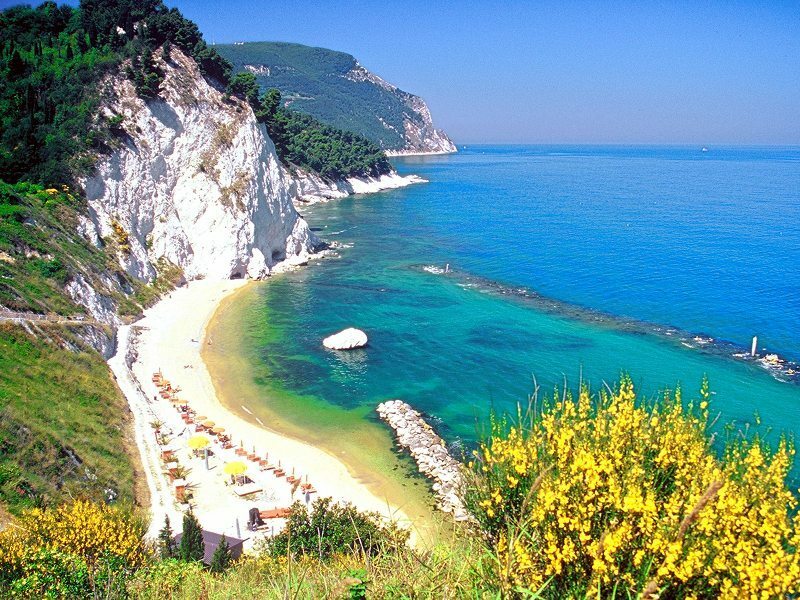 The Conero Natural Park, surrounded by gorgeous views of pristine nature, contrastarsi sees green of the mountain with the blue sea The beautiful and famous resorts of Sirolo, Numana and Portonovo overlook beaches of unique beauty, accessible comfortably or through guided hiking paths.